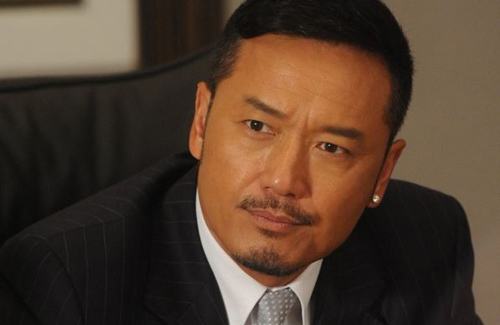 At 55 years old, Michael Miu (苗僑偉) still possesses a great deal of charm. With a stable career and a loving family, he is content with his success. All he now asks for is to continue living a healthy and happy lifestyle with his family. Having been in the entertainment industry for 33 years, Michael revealed the journey was not easy. Looking back in time, he revealed he had started off with nothing at all. Slowly, Michael learned to move forward with his determination and effort. Enrolled in the TVB artist training program in 1980, Michael only gave himself half a year to stay, since there was no salary. When TVB later offered to sign him a contract, he only earned $1,500 HKD per month. Nonetheless, Michael recalled the times as happy. He made great friends including Andy Lau (劉德華), Tony Leung Chiu Wai (梁朝偉), and Felix Wong (黃日華). Although he got drunk and vomited heavily in the past, Michael has better control these days. He will not allow himself to get drunk to the point where he has no control over his behavior, which is irresponsible. He will stop himself from drinking when he has reached enough and only drinks on joyous occasions, instead of reaching for the bottle out of boredom. Although good friend, Eric Tsang, is often photographed getting heavily drunk at parties, Michael said that Eric still retains control over himself and never stirs up trouble. Earlier, reports speculated that Michael had plans to form a production company with Eric. Michael revealed there had indeed been such plans, but nothing is finalized yet. Although Michael had worked on his eyeglasses business for 20 years, he realized his favorite career is still acting. Compared to being in charge of a business, Michael thought acting is rather simple as long as he tried his best in every given role. All the characters Michael portrayed only served as a new challenge. Throughout the years, he never gave himself pressure regarding how much money he would earn, or whether a series would go over budget. The process of acting is what Michael is truly passionate about. I remember reading about how hard life was for Micheal and many from his generation and feel that their children and the kids of today are sooo much luckier. But sadly, many take it for granted since they never suffered hardships. Great to hear that Micheal is finally happy now and all of his years of hard work has paid off. I am glad that Jamie is not what people thought. I am sure she is a good wife or else Micheal would not have stayed with her all those years and married her. They have been together for over 30 years if you count the dating time. I don’t think you can tolerate anyone for that long if they were truly that bad. Huh? I thought they said his daughter just started university this year, this article says she graduated? !